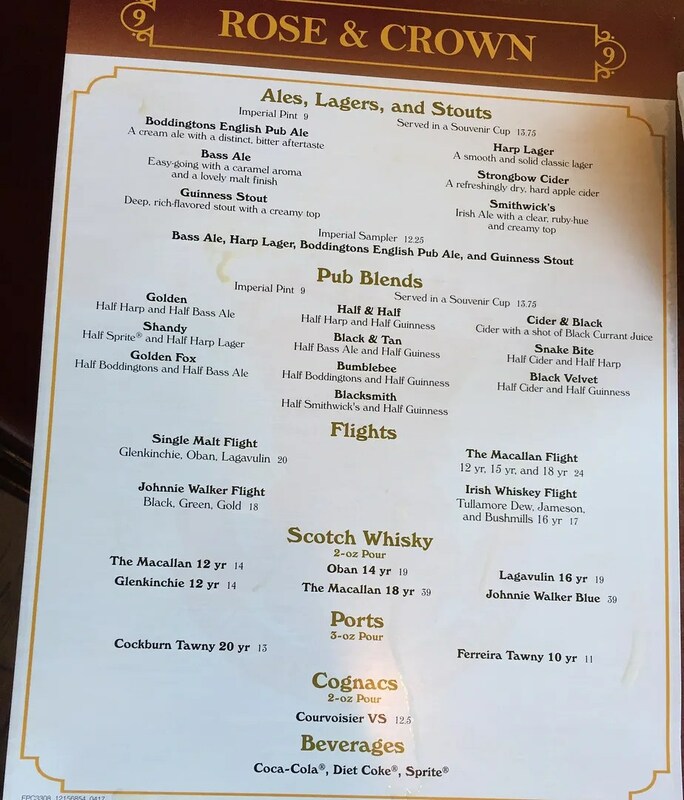 For me, a trip to Disney almost always includes a visit to either the Rose & Crown Restaurant or the Pub at Epcot. During my October/November 2017 trip it was the Rose & Crown Pub that my friends and I visited. This is a popular place, but small. With only a few tables and chairs available for pub guests, you will often have to wait a bit for a seat but it’s worth the time. 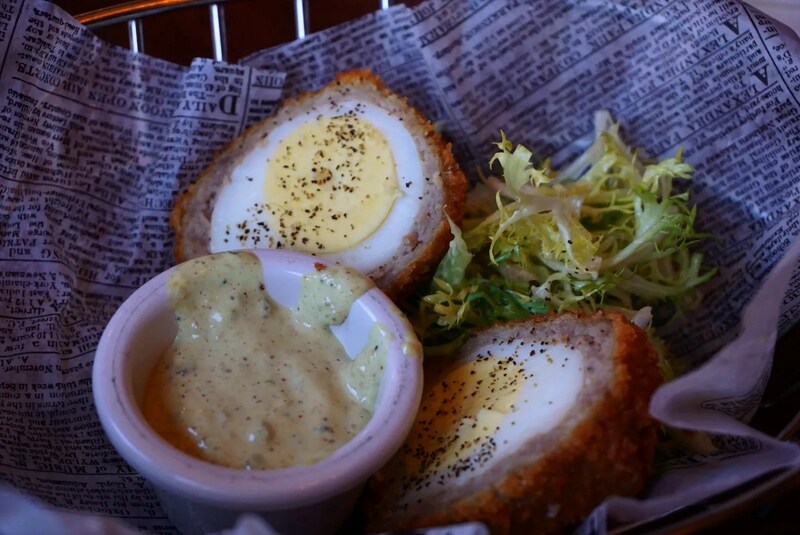 Of all of the Scotch Eggs I’ve had (which isn’t many), the Rose & Crown one is my favorite. I love the mustard sauce that is served with it, and generally I don’t even like mustard. As for the fish & chips, I didn’t taste them this time, but Paula & Hunter seemed to enjoy them. 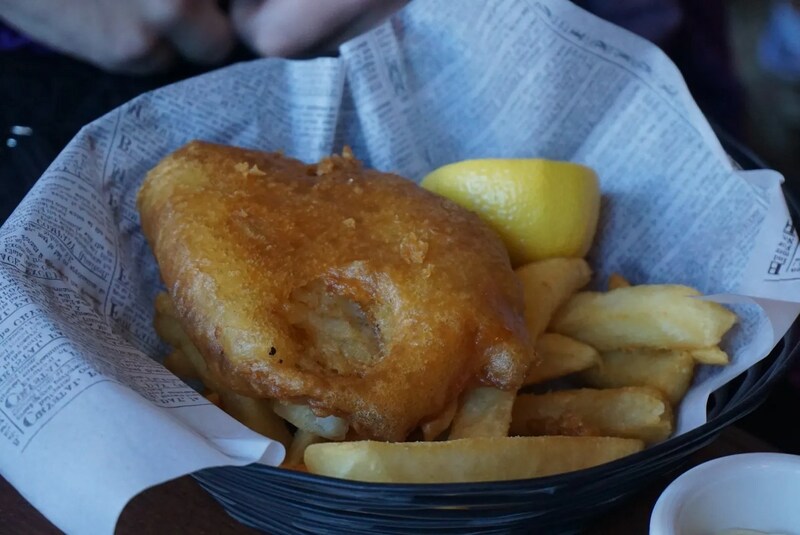 We can always count on the Rose & Crown Pub for good drinks, good snacks and a good time.